Many homes buyers will choose Asheville North Carolina cabins when shopping for their North Carolina homes here in the greater Asheville area. Asheville homes are great values and home buyers love the selection of Asheville North Carolina cabins that we have in this area. 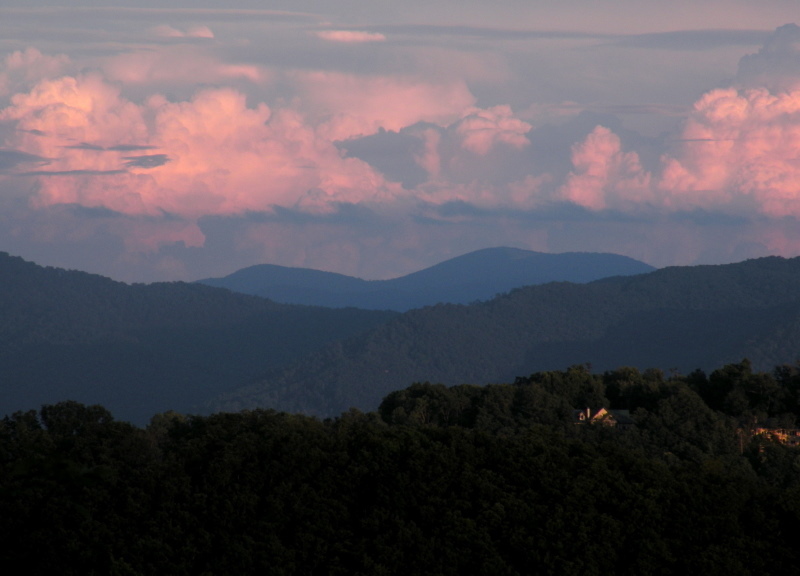 Choose Green Mountain Realty for Asheville North Carolina cabins and real estate. Biltmore Park Craftsman stunner that has it all - location, panoramic views and privacy! Nestled on 1.54 acres with natural landscaping and fenced in back yard. Gorgeous open kitchen with Dacor gas oven range, stainless steel appliances and custom knotty alder cabinets. Master on the main with his and hers closets, walk in shower, soaking tub and private entrance to enjoy the patio outdoors. Soaring ceilings and windows in the great room give this home amazing natural light. Wood burning fireplace in great room & gas fireplace in the den/office give you flexibility. The upper level has excellent bonus space, 3 bedrooms and 2 full bathrooms. The lower level with beautiful hardwoods, has an additional family room/rec room, workout room, bedroom and 2nd kitchen (perfect for guests, caretaker or extended family). Enjoy the year-round mountain views from the massive covered front porch - a lovely place to entertain or relax in the peaceful surroundings just minutes from Town Square! I have a question about the property at 450 Coopers Hawk Drive Asheville NC 28803 (#3497361). I would like to schedule a visit for the property at 450 Coopers Hawk Drive Asheville NC 28803 (#3497361). I have a question about the property at 7 Blackberry Lane Asheville NC 28804 (#3387689). I would like to schedule a visit for the property at 7 Blackberry Lane Asheville NC 28804 (#3387689). This single-family home, currently operating as a B&B is perched above a quiet street located in the center of the historic Monford neighborhood on a .41 acre lot. Featuring a large eat-in kitchen with a thoughtful design, SS appliances with a gas cooktop/griddle, double oven, farm sink, and quartz countertops. Inside you'll find large windows, high ceilings, pocket doors and bedrooms with en-suite baths, fireplaces, large bay windows, along with original heart pine floors and front & back staircases. 420 SF carriage house w/french doors, high ceilings, custom shelving/cabinetry with a cast iron gas stove and a full bath. The outside features include a southern facing covered front porch, large side deck, seasonal native plantings, mature trees, and plenty of off-street parking located in the rear of the property. Walk on the Reed Creek Greenway to the UNCA farmers market or to downtown. One block from Montford Park. BY APPOINTMENT ONLY! PLEASE no walk-ups. I have a question about the property at 43 Watauga Street Asheville NC 28801 (#3486860). I would like to schedule a visit for the property at 43 Watauga Street Asheville NC 28801 (#3486860).